Atlus USA today has announced that two of the Utawarerumono trilogy entries are heading towards the West. 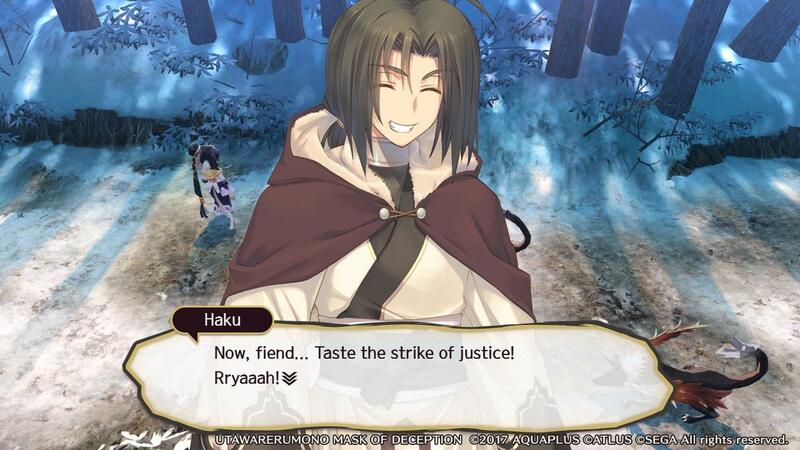 Utawarerumono: Mask of Deception and Mask of Truth are the names of the titles heading to shores. For those unaware, these games, brought to you by the developer AQUAPLUS!, feature an active SRPG combat system blended with a deep visual novel experience. The titles are also stuffed to the brim with beasts, magic, intrigue and sexiness. 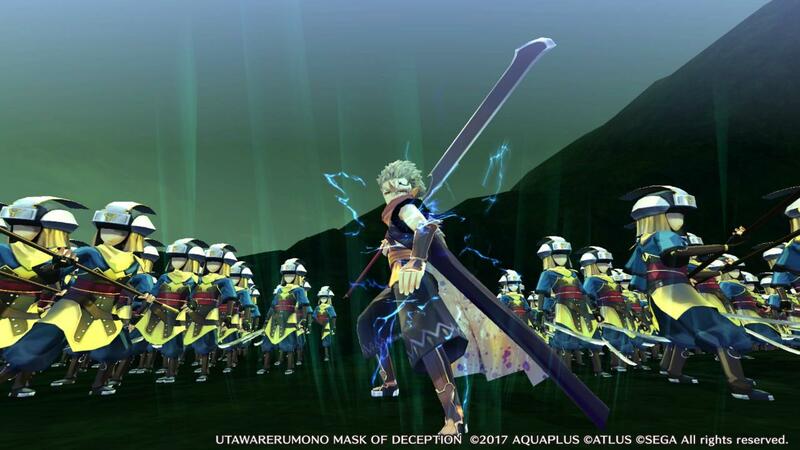 Mask of Deception will release during the Spring of 2017, while Mask of Truth will launch later in the year. For those interested in the plot of Mask of Deception, which we covered a couple of years ago, the protagonist begins atop a snow-blanketed mountain, having just woken in a hospital gown, riddled with amnesia, and surrounded by vicious enemies. Fortunately, he’s saved by a stunning girl named Kuon, who takes him under her care, even going so far as to name him Haku. Together, they venture across the land, becoming intertwined with not only the politics of the nation Yamato but also with the lives of other characters. - An Unforgettable Story – Mask of Deception offers a story-rich visual novel experience (40-50+ hours long) that lets players shape the future of a fully realized world filled with fantastical lore and history! Mask of Deception sets up the story for a thrilling conclusion in Mask of Truth, and we’ll reveal more information about the final game at a later date. - An Active SRPG Battle System – Players will need to defend Haku and his friends by engaging in intense SRPG combat with the various hostiles that populate the world. The battle system is a thrilling mix of turn-based tactics and Attack Chain mechanics. Players can remain active during combat by successfully completing timing-based charging rings to execute critical attacks or vital dodges/blocks. 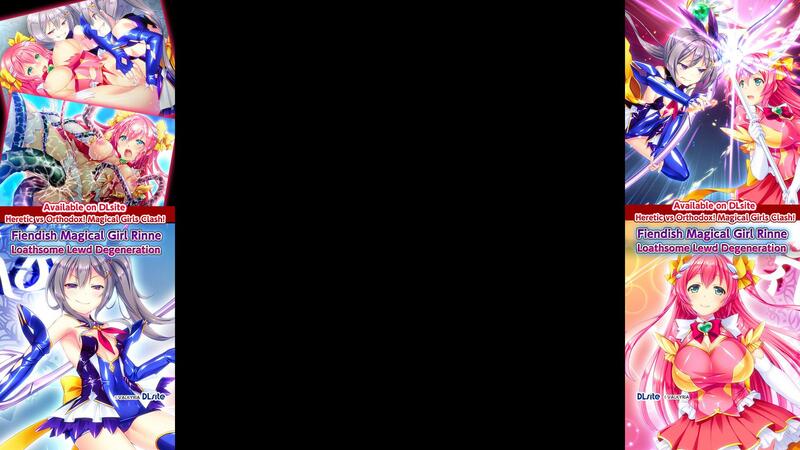 - Fully Fleshed Out Combat – Unique combat features such as the rewind function, elemental affinities/weaknesses, unique character skills, and more add a layer of depth to fights. It’ll take true tactical acumen to emerge victorious in battle! - Breathtaking Art – With a stunning art style and beautifully rendered cutscenes, the game is a feast for the eyes for Japanese visual novel and anime aficionados! - Beautiful Songs and a Thrilling Score – The rousing music, recorded and remastered at the legendary Abbey Road Studios and EastWest Studios, is a perfect soundtrack to accompany a great adventure. Unfortunately, Mask of Deception is facing an issue in regards to localization. In fact, Atlus has confirmed the alteration of a scene involving an adult spanking a minor. These visual novels and strategy RPG hybrids will launch physically and digitally for the PlayStation 4 in both the US and Europe, whereas the physical and digital Vita versions will be heading to the US only. Unfortunately, Europeans will only receive the physical edition. Both will release with English text and the original Japanese audio for maximum authenticity. Utawarerumono: Mask of Deception and Mask of Truth will be priced at $49.99, while the PS Vita versions will cost $39.99. We will be sure to keep you up to date on any other Utawarerumono details as they become available, so make sure to follow LewdGamer on our Twitter and Tumblr accounts.